Situated to the northeast of Crete is a group of islands known as the Dodecanese Islands. The largest of the islands, Rhodes lies just off the Anatolian coast of Turkey and is considered the capital of the Dodecanese Islands. A popular tourist destination, Rhodes has some of the cleanest beaches in the Aegean. Sun lovers flock to the island as it gets, on average 300 days of sun each year. Whether you decide to make Rhodes your first stop on the way to Greece or the final excursion on your trip to Greece, you’ll definitely want to check out the one of the brightest gems of the Aegean. 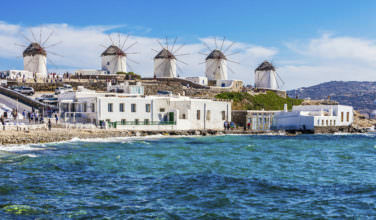 Thanks to the islands popularity coupled with the fact that it has ideal weather for a large part of the year, there is year-round air service from two major cities on the mainland, Athens and Thessaloniki. The flight from Athens to Rhodes takes roughly 45 minutes. 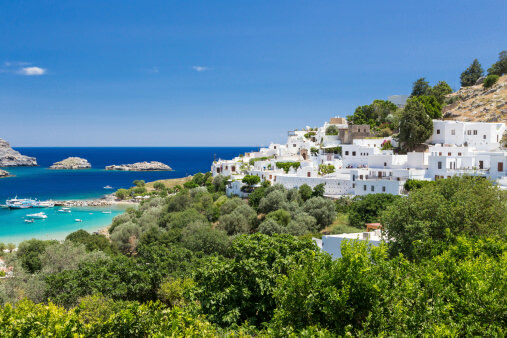 There are also many routes that operate during the summer that connect Rhodes to other Greek islands including Santorini, Crete, and Karpathos. There are also seasonal flights from many major European cities due to the island’s popularity among tourists. In fact the island is so popular that in 2013, Rhodes International was named Greece’s third busiest airport. One note to make is that Rhode’s capital city shares the island’s namesake, which is an important piece of information to have when making travel arrangements. Rhode’s airport is officially known as Rhodes International Airport, it is often commonly referred to as Diagoras International Airport. The airport is located about 13km (roughly 8 miles) to the southwest of the city of Rhodes, just north of the village Paradissi (some travel guides refer to this airport as the Paradissi Airport because of its geographical relation to the village). Obviously as Rhodes is an island, you have the option of getting there by sea. Rhodes is actually a major port island and acts as a transportation hub for other islands of the Aegean and additional points in the area including Cyprus, Turkey, and even Israel. There are ferries that run daily from Piraeus port (nearest to Athens) but know that these excursions take an average of 15 hours. 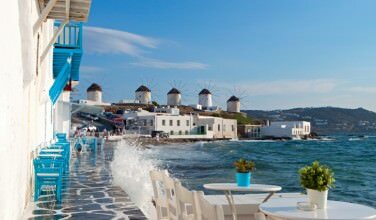 If you want a leisurely tour of the Greek Isles then a ferry might be your best option. 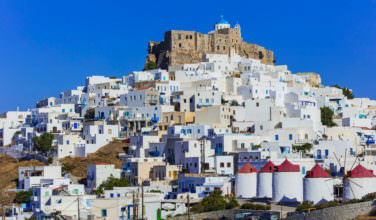 However, if you want to make the best of your travel time, Rhodes via air is your best option. During the summer months many tour operators run catamarans or hydrofoil boats that are much faster than the traditional ferry boats that can shave considerable time off of the voyage to Rhodes. Rhodes is a very popular tourist destination, especially during the summer months of July and August. In fact, August is the busiest time of year for tourists and accommodations and flights and ferry tickets can be hard to come by in August due to high demand, so plan ahead when making your trip to the island.